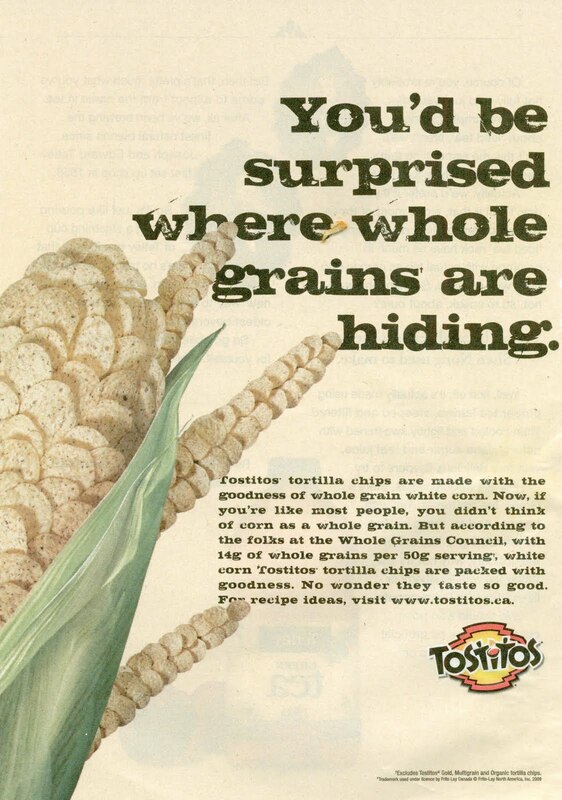 Weighty Matters: Badvertising: Tostitos and their whole grain goodness! 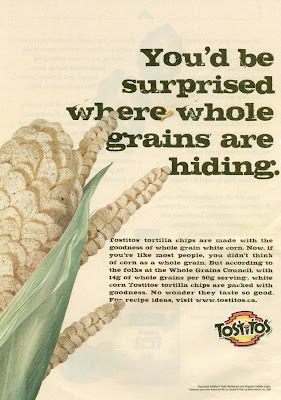 Badvertising: Tostitos and their whole grain goodness! What, you didn't think Tostitos were good for you? They're whole grain dammit! That means they're a health food dummy! 14g of whole grains per 50g serving! Oh, and by the way, 50g? That's 12 chips. 260 calories for those 12 chips, along with 210mg of sodium. Sure sounds healthy to me. Of course there is such a thing as a bad food. The best thing to hit the internet this year! Do hockey and curling mix? Ontario Liberals promise pro-obesity tax breaks! Big Milk farms out PhDs to do their dirty work. Odds, ends and help wanted! Free workouts at all Gold's Gyms this Saturday! Kellogg's Froot Loops are soooo good for you!